The delegate of Jordan discusses the specific effects that global arms trade has on individuals. The Special Political and Decolonization Committee (SPECPOL) has been called together to discuss the issue of illicit global arms trade (GAT) and possible solution to the issue. Following a speech from a representative of Save the Children, the intersection of women and children, and GAT has become a central topic of the commission. In nations affected by the abused of arms trade, women and children are among the most vulnerable groups, as noted by UNICEF’s Chief of Child Protection in a news release from 2013 (http://www.unicef.org/media/media_68553.html). The prevalence of this factor has directed the conversation in SPECPOL, allowing delegates to advocate for their disenfranchised citizens. 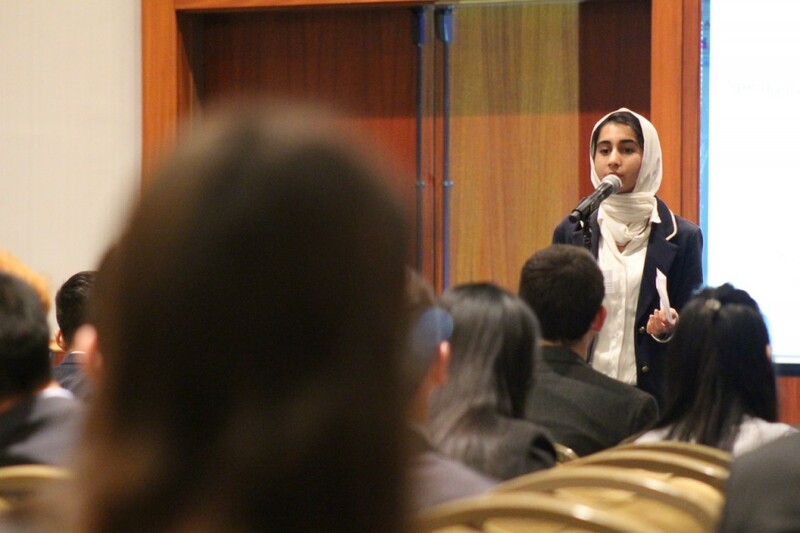 New Zealand's delegate proposes ideas to aiding groups affected by global arms trade. Many individuals in this minority group experience trauma and post-traumatic stress disorder; so many of the current working papers include clauses that provide rehabilitation and aid. Educational resources have also been discussed due to the presence of child soldiers in a number of countries. In a press conference last night delegates commented on the dialogue regarding political campaigns against the use of child soldiers, including their strategy and marketing. Similar to the tactics used in South Africa and Columbia, states will work to bring together the two sides in a reasonable manner. Broader approaches to tackling GAT have included providing incentive towards relinquishing weapons, through means such as an Arms For Aid program. For those who do not consent to giving up their arms, alterations to current trade agreements will be proposed to the World Trade Organization with the hopes of curving illicit dealing. 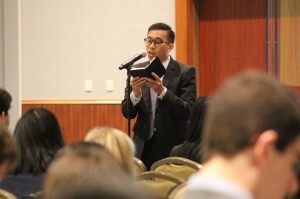 As delegates consider all of the external factors at hand regarding this issue, there is also discussion regarding the internal black markets of countries. Delegates plan to tackle this aspect through the proposed changes to trade tactics, but also trough inter-country relations. By cooperating, states hope that they can collectively tackle the issue of GAT, and in turn protect the women and children across the globe.